Mary began her career in the food industry developing biscuits but eventually tired of eating them and went off to head up Grocery Aid – a food redistribution charity. Following the arrival of two children Mary dedicated herself to them and fundraising. Most recently, Mary was with FareShare – developing retail relationships and back of store trials at supermarkets. 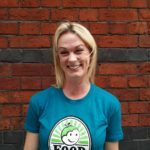 As Head of Programmes at FoodCycle, Sophie brings her two passions: helping people and great food. Sophie has worked for a variety of organisations across the charity sector, from managing large teams of volunteers at British Red Cross to supporting research projects for the International Organisation for Migration in Jordan. She supports FoodCycle projects in the north-east in Durham and Chester-le-Street. Most recently she ran operations for a small start-up food company called Salad Days based in East London, where she lead the growth of the company, working with companies such as Nike and Uber. 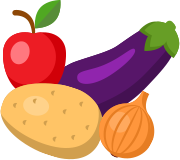 Camilla is passionate about telling the stories of our fantastic volunteers, finding creative ways to demonstrate FoodCycle’s impact and keeping food-waste, food-poverty and social isolation in the public-eye. Camilla has volunteered for FoodCycle for many years. Firstly as a student in Leeds and most recently at the newer Lewisham Hub. She has also worked for a variety of non-profit organisations, from supporting social enterprises and community businesses, to building a community of over 32,000 young entrepreneurs in universities and colleges across the UK. Elizabeth joined the team in January 2019 as a Project Support Officer. Prior to this she completed a degree in Social Anthropology at the LSE. It was her degree which drove her interest in community and the importance of food as a key social tool. Elizabeth has volunteered with charities and projects in and out of the UK, from distributing refugee aid in Northern France to working in Tower Hamlets, supporting women in prostitution. When not working, Elizabeth enjoys Lindy-hopping around London and getting stuck in to community am-dram. Harry joined us in March 2018 and has always enjoyed working with volunteers to make a positive change in communities, previously for both charities and campaigns around the UK. Most recently he was a community fundraiser at the charity Changing Faces, which supports people with any form of visible difference or disfigurement find a way to live the lives they want. Beyond his work with FoodCycle, Harry enjoys eating veggie lasagne, spending time with his kittens Archie and Ivy and is very proud of his record collection. Justin has worked in the Third Sector for over 20 years as a manager in a variety of roles, including mental health and acquired brain injury. He has 2 teenage daughters which can occupy a lot of his time(!) but when he does get time to himself, he enjoys mountain biking with friends and walking his dog with his wife. Justin joined FoodCycle to make a difference and meet like-minded people. 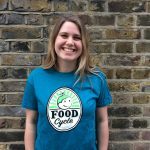 Helen joined FoodCycle as Finance Manager in September 2017 and is based in our head office in London. 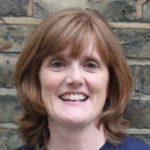 She has worked in charities of various sizes since 1998 in a range of roles, primarily in finance, administration and supporter care. Helen is passionate about using her skills to help bring an end to poverty. She loves food as long as she doesn’t have to cook it – though she is a dab hand at baking cheese scones! Having developed an interest in education and broadening engagement, Miriam has volunteered in the UK and abroad with several charities and projects. While at university in Sheffield, Miriam worked in volunteer and project management, enabling student volunteers to engage with local community groups and projects, and to give members of the public the opportunity to integrate with members of the student population. 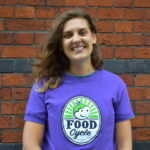 Having planned fundraising events in the past, she is excited to engage individuals and corporates with the fantastic work FoodCycle does at all levels. And when she’s not working, you can either find her doing some form of sport or in the kitchen – it’s a vicious circle! 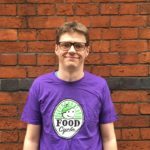 Ian joined FoodCycle as Regional Hubs Manager in February 2017. He manages our projects in Manchester, Leeds and Liverpool. 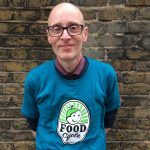 Before joining FoodCycle, Ian spent 19 years with the learning disability charity Mencap, working with local groups and organisations at a community level across the North West. Ian enjoys cooking, especially curries, and likes walking and camping in the quiet places. 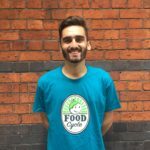 Matt joined FoodCycle as Regional Manager for London in July 2017. Matt began his career working for a training café in Hackney that supported young adults. He stayed in the charity sector for his next two roles; working in employee volunteering then full-time volunteering for Volunteering Matters. He loves exploring London’s pubs, most sports (especially football and squash!) and baking, so is very excited to be getting stuck in again to the world of food! 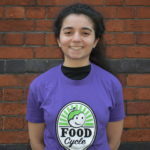 Sam joined FoodCycle in 2019 as the Regional Manager for the East. She has 10 years of experience in public health, covering a wide range of topics including physical activity, smoking cessation and sexual health. Sam’s passion for health and wellbeing aligns with our commitment to bring people together and provide a healthy nutritious meal. In her spare time she loves to bake at home and is an avid GBBO and Australian Masterchef fan. 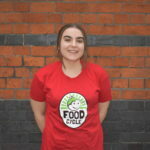 Vicky joined FoodCycle in January 2018 as Marketing and Fundraising Officer. 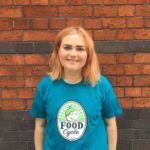 Prior to this, she worked for a charity tackling social mobility so is excited to be a part of helping to build communities around nutritious, delicious meals using surplus food and the goodwill of volunteers! Vicky is also engaged with social development on an international level, having volunteered in Thailand to assist with the provision of sustainable clean water solutions. In her spare time Vicky enjoys yoga and satisfying her very sweet tooth with home baked goods! 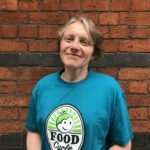 Nicky joined FoodCycle in June 2016 as a part-time Personal Assistant to Mary and the management team. She deals with much of the administration that every business generates, including travel, event bookings and hub reporting. Nicky started her career as a PA at KPMG, before moving to a publishing house, initially as Executive Assistant to the CEO, and latterly Operations Manager. 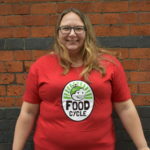 She has developed a genuine passion for the work FoodCycle do. 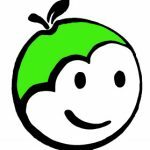 Pip is FoodCycle’s superhero, working tirelessly to save perfectly edible surplus food and it into healthy meals for vulnerable people. He bursts with pride when he sees all the amazing work in FoodCycle projects across the country.